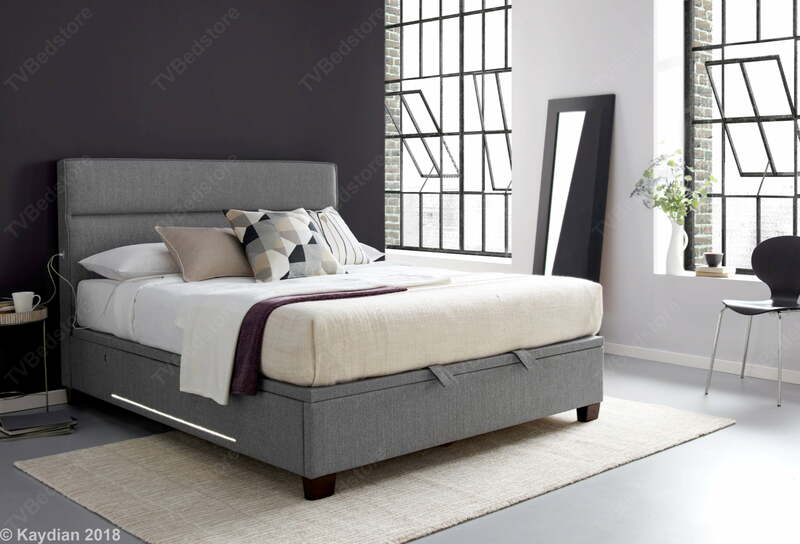 This Chilton bed in light grey fabric is stunning. 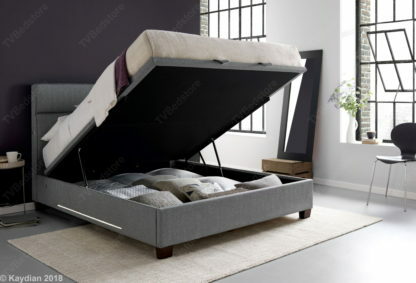 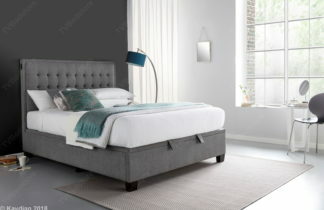 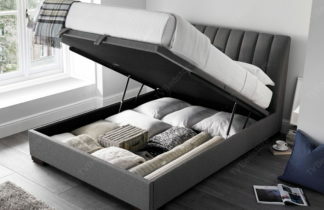 This wonderful ottoman storage bed has a deeply padded headboard, a good sized storage area and also has a solid platform base on which to sit your mattress. The Chilton also features 2 x USB charging points in the headboard, ideal for keeping those unsightly leads to a minimum, and LED strips in the base.